Fig. 1. 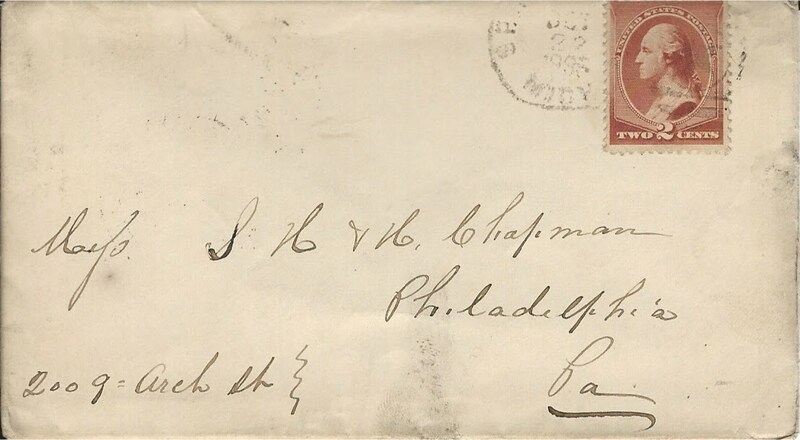 Letter sent by Warren Gee to the Chapman Brothers postmarked Spring Lake, Michigan, October 22, 1885. Courtesy Lupia Numismatic Library, Special Collections, Chapman Family Archive. Warren Wallace Gee (1830-1905) was born at Palmyra, Portage County, Ohio on August 6, 1830, the first son of farmers, Nicholas (1803-) and Adaline Daniels Gee (1812-1880). His mother was a direct descendant of Amariah Daniels (1769-1841) who served as a musician during the American Revolution. His father was a native of New York and his mother of Middlesex, Massachusetts. Warren had a much younger brother named Wallace. On April 2, 1850, at Logan, Ohio, he married Adelia "Delia" and they had a daughter Evellen. The Gee family lived on their farm in Palmyra, Ohio when Evellen was born in 1858. His earliest career was that of his father working as a farmer. However, they moved to Hartford, Wisconsin, where his wife Adelia passed away. On November 6, 1867, he remarried to a widow Margaret “Maggie” Kildahl Rice, a Norwegian immigrant, who had survived her late husband with their daughter Minnie (b. 1856). They all soon settled in Spring Lake, Ottawa County, Michigan. They had a daughter Gertrude who later on married George D. Sisson. By 1870 he was a well established and highly prosperous produce merchant. In 1874 he was listed as a capitalist in the Milwaukee Grain & Stock Exchange. By 1880 he became a very wealthy wheat broker. In 1882 he was elected as the president of the Spring Lake Horticultural Society. In the mid 1880’s he became a somewhat part-time coin dealer. Most of his coins appear to have been acquired over the counters on his business trade, keeping the best and creating a set of American coppers and some foreign currency and selling off other specimens at a premium. He was a correspondent to the Chapman Brothers beginning in 1885. (See above Fig. 1) Drawn by coin dealings he visited Philadelphia January 20, 1885 and January 11, 1886, where he stayed at the American Hotel. He was a subscriber to A. M. Smith, Illustrated Encyclopedia of Gold and Silver Coins of the World; Illustrating the Modern, Ancient, Current and Curious, From A.D. 1885 Back to B.C. 700. 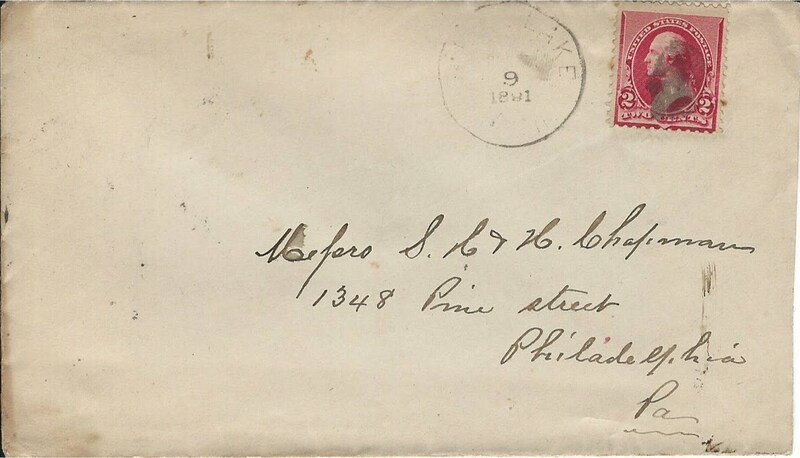 (Philadelphia, 1886) : as he is listed among the subscribers on page 12. He was also a subscriber to Mason’s Coin Collectors’ Magazine in 1890 listed among the subscribers in the September issue. He was also an active bidder in Chapman auctions including the Warner sale in 1891. Fig. 2. Letter containing bids sent by Warren Gee to the Chapman Brothers for the Warner Sale, postmarked Spring Lake, Michigan, July 9, 1891. Courtesy Lupia Numismatic Library, Special Collections, Chapman Family Archive. In April 1888 he was at the Board of Trade Milwaukee, Wisconsin. He stayed at the Palmer Hotel, Chicago on July 9, 1889. Sometime between 1891 and 1902 he had an office at 56 Board of Trade, Chicago, Illinois. From 1890-1891 he partnered with Dr. Cyril P. Brown who patented a mechanical device the “Musical Leaf Turner” that turned the pages of sheet music so that a musician could play continuously without interruption. In May 1893 his Spring Lake house burnt down among the more than thirty that were destroyed by the great Spring Lake fire. The fire started on May 11, at Haire’s dock at 8 a.m. was spread by a strong wind. It seems tenable that the numismatic collection was lost and destroyed in that fire. Considering the number of homes destroyed by that fire as well as church property the loss of a coin collection would be out of place to have been reported considering the number of grieving displaced families as well as the whole community. In 1896 he formed a partnership in a grain company with George Knowles in a firm Gee & Knowles located at 357 Broadway, Milwaukee, Wisconsin. In 1897 he built a home there. He died on October 16, 1905. After his death his wife moved to Indianapolis Indiana. Muskegon Chronicle, Thursday, May 11, 1893.